Sign up for our newsletter to hear about the research results. Fortis BC and the Wilden Living Lab are collecting real-life data. Fortis BC has installed advanced meters into the Home of Tomorrow to record the electricity generated by the solar panels. 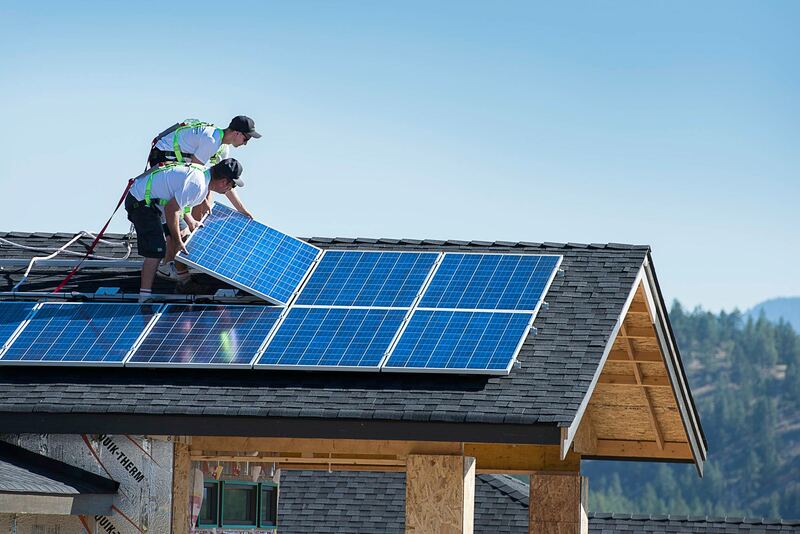 This energy will be fed into the Fortis BC electricity grid and homeowners will be compensated for the solar energy produced in their home on their annual bill. The Home of Today is being built to current building codes directly adjacent to the Home of Tomorrow and will be the comparison model for the research conducted by UBCO’s School of Engineering. The monitoring of both homes over the course of three years will show exactly how the owners of the Home of Tomorrow will benefit from the solar energy generated and from other innovations such as the geothermal heat pump, better insulation and more energy-efficient appliances.